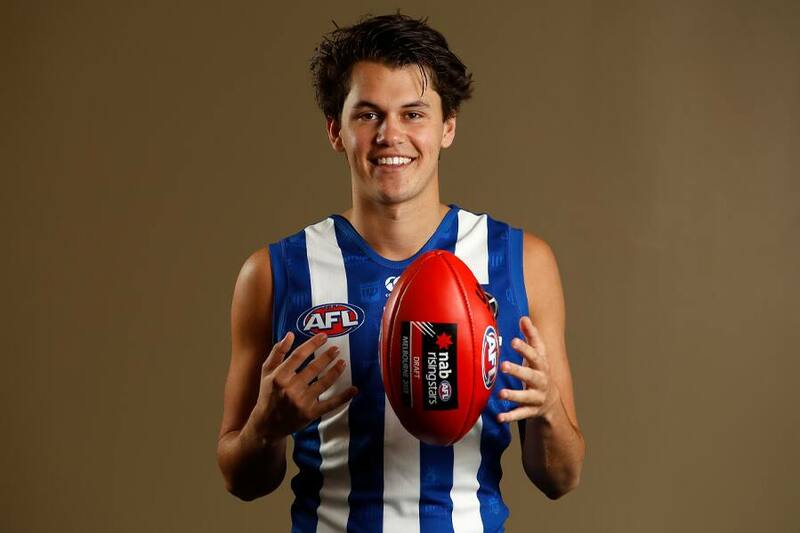 Curtis Taylor continues to make an impact for North Melbourne’s VFL side. The impressive youngster was among a trio of AFL-listed talent to stand out at Arden Street in a practice match against Port Melbourne. VFL senior coach David Loader praised the form of Taylor, alongside emerging Roos Tarryn Thomas and Tom Murphy. “It looks like something is going to happen all the time when Curtis is near the ball,” Loader told North Media. “Curtis plays with real energy, super lively. He’s got the ability to jump in the pack, but hit the ground and still be involved in the contest. Given the freedom to fulfil multiple roles against the 2017 VFL Premiers, Loader acknowledged the versatility of Tarryn Thomas. The club's top pick in the 2018 National Draft started forward, before moving deeper to pursue more of the footy. “Tarryn played forward early on and look quite dangerous from limited opportunities,” Loader explained. “He did look like he was going to threaten the scoreboard at times. In the second half he went into the midfield and really impressed. Meanwhile Tom Murphy continued his development, showing promise in a defensive role, including a memorable goal from outside 50. “Tom did some good stuff out of defence,” Loader added. “Two three times he got some grass in front of him and went really hard boot off the opposition. North’s AFL-listed players were complemented by VFL-listed duo, Dan Robinson and Louis Cunningham. “Dan has been working his way back, but can really find the footy and set up quite well,” he said. “It’s one challenge he has at the minute as he hasn’t played a lot of football.